These walkathons are organized by Nepal ko Yuba (Youth of Nepal), a not-for-profit organization based in the US. For more about who they are and what they are follow this link: http://walkfornepal.org/about-us.html. A link to the page with details of the walkathon held in London in July 2014: http://walkfornepal.org/event-detail/london.html. Anyway, the process of helping us involves first registering online to walk at the event on COMMITTED’s behalf (and if you feel like doing more, you can volunteer to be our local representative), recruiting sponsors to donate, and finally walking the talk on the fateful day! If yo decide to walk, the sponsors make online donations so, as a walker, you won’t need to handle any cash! COMMITTED has already had representations at a few of these walks. Below, I’ll be providing links to details of past and upcoming walkathons. Interested in contributing to our cause? Follow the appropriate link and do what you can! And while you are at it, meet some new people and have fun, if you decide to walk! 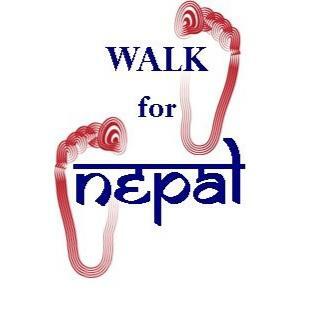 Walk for Nepal – Dallas November 10, 2013. Walk for Nepal – Dallas 2014. Time: 12 PM – 6 PM. Registration: Follow this link. Under partner organization, select COMMITTED. Once you register, be sure to let your friends know so that they can sponsor you. Sponsor a walker: Follow this link. If you are donating to our cause, obviously, you’ll need to sponsor someone who is walking on COMMITTED’s behalf! Questions? Please email me at dorjeATdorjegurungDOTcom. If I don’t have the answers, I’ll put you in touch with those who would. Where’s The Cable Guy When I Need Him? !